Internet addiction (IA) is a prevalent, highly comorbid, and significantly impairing disorder. Although many psychotherapeutic approaches and psychotropic medications have been recommended and some of the psychotherapeutic approaches and a few pharmacotherapy strategies have been studied, treatment of IA is generally in its early stages. 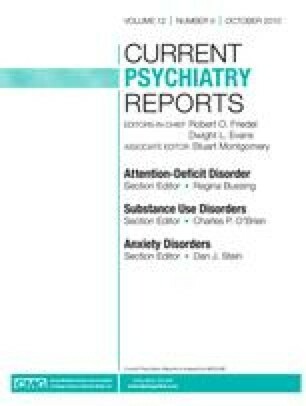 This article reviews theoretical descriptions of psychotherapy and the effects of psychosocial treatment and pharmacologic treatment. We also outline our own treatment model of IA. This research was supported by the Beijing Natural Science Foundation (grant no. 7082091). Hechanova RM, Czincz J: Internet addiction in Asia: reality or myth? Available at http://www.idrc.ca/uploads/user-S/12531993781rad4E1AD.DOC. Accessed July 23, 2010. Young KS: A therapist's guide to assess and treat Internet addiction. Available at http://www.allstudies.org/Addiction+Solitaire.htm. Accessed July 23, 2010. Young, KS: Internet addiction: symptoms, evaluations and treatment. In Innovations in Clinical Practice: A Source Book. Edited by VandeCreek L, Jackson TL. Sarasota, FL: Professional Resource Press; 1999:19–31. Available at http://www.netaddiction.com/index.php?option=com_content&view=article&id=66&Itemid=90.